Anil Ravipudi is riding high with back to back blockbuster movies. After 'Pataas', 'Supreme' and 'Raja the Great'. The director has recorded another blockbuster with 'F2: Fun and Frustration' which made more than 80 crores at the box office. 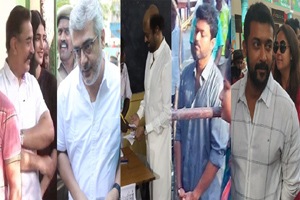 The director became one of the star directors in the industry. He is reportedly going to do a movie with Tollywood Superstar Mahesh Babu. But instead of revealing his name, Anil ravipudi made a tweet on that. "Now... 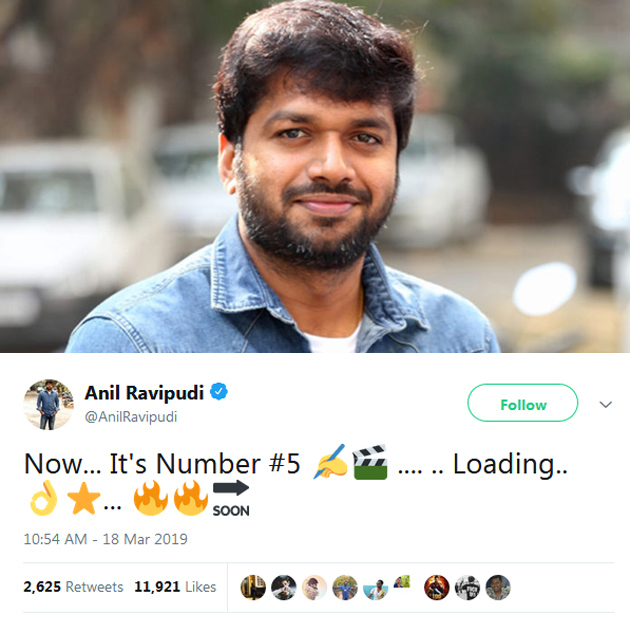 It's Number #5 .... Loading....." Tweeted Anil Ravipudi claiming that he is preparing to kick start the shooting of his fifth film. 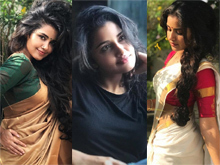 It is known that Mahesh Babu is currently busy with 'Maharshi' and will take Anil Ravipudi's project on to the sets after wrapping up this project. Dil Raju is pooling resources for Anil Ravipudi-Mahesh Babu's project as well. Rumours are coming out that Rashmika Mandana is playing the female lead in the movie. The Official announcement is yet to be made.